There’s nothing in the world to compare with a SPORTEX rod. It owes its legendary reputation to the power of innovation and the unique technology which for decades has set standards worldwide. Today, our rods are a byword for reliability and master craftsmanship. Our rods are symbols of quality and long service, attributes which are becoming ever more important in these days of fast-paced living. It is with pride that we can say that SPORTEX rods have excited generations of anglers with their reliability in demanding situations and their incredibly long life. Sustained research with new materials and material combinations are the bedrock. No other rod manufacturer can take advantage of such a wide range of materials for rod production. What makes SPORTEX rods so unique? They are not simply uniform rods ‘off the peg’. Every rod is an individual creation, even within the same series, adjusted in length, action and component composition to suit the particular casting weight, distance and anticipated twist. Anyone who wants to be a w orld leader when it comes to making rods cannot allow for compromise. 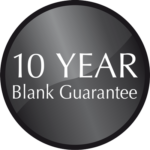 We stand by our products – and that’s guaranteed! Our quality control procedures meet the highest possible de-mands, whether it is the selection of the material and compo-nents speciﬁc to the rod, the painstaking checking during the manufacturing process of the blanks or the ongoing inspections at the rod make-up stage. Every SPORTEX rod is an exquisitely crafted quality product. 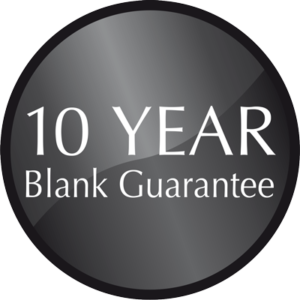 And we, the manufacturers, stand by that with our 10-year blank guarantee*. Every SPORTEX rod is the result of long years of practical experience and innovative technical know-how. Our technical knowledge has grown over the decades. In the Fifties, we were renowned for the honey-coloured fibreglass blanks which set countless records in casting distance and precision. And when innovative carbon fibre materials arrived, we were among the first to recognise their potential for making rods, and put them to use. Thanks to our own SPORTEX HT-Cross Winding blank technology, our rods are unique in their combination of strength, lightness and speed. We use only the latest and highest quality carbon ﬁbres for our rods, sourced from the leading manufacturers. What makes our knowled-ge and skills so special is how we achieve the speciﬁc mixture of the most varied materials, such as highly modulated carbon ﬁbres, Kevlar, Boron or Zylon, and merge them into a frictional force-closed combination. This enables us to exploit the advantages of the indi-vidual ﬁbre materials, such as ﬂexural strength and tensile strength, lightness, impact resistance, speed and resistance to breakage in optimum combinations. And the result? Rods tailored individually to speciﬁc types of ﬁshing and angling techniques, with the fast action typical of SPORTEX. The SPORTEX-technology of the future. The SPORTEX Helicore®Blank is a masterpiece in rod building, unifying the best possible features in all disciplines. The new technology is a strict development of SPORTEX’s proprietary HT Cross Winding process, taking into account the latest in material science and manu- facturing technology. The result: incredibly light and fast blanks that are more sensitive but at least as robust, strong and long lasting as mil-lions of ﬁshermen worldwide know it from SPORTEX. It simply ﬁshes better than any other blank used in today’s rods. When casting, you will feel the difference: Post-pulse oscillation is dramatically reduced and the blank loads up to 20% more energy – resulting in longer and more targeted casting. SPORTEX – The benchmark in rod building – just moved forward!